THE new Nissan Navara will start from $26,490 when it reaches showrooms next month. The NP300 Navara will be offered in four grades; DX, RX, ST and ST-X. Twenty-seven variants will be available, offering choices in drive (four-wheel-drive and rear-wheel-drive), cabin (dual cab, king cab and single cab), chassis (pick-up utility and cab chassis), engine (twin-turbo diesel, turbo diesel and petrol) and transmission (six-speed manual and seven-speed automatic). "The all-new Nissan NP300 Navara delivers first-in-segment features while honouring the heritage of Navara and the outgoing D40 and D22 models," said Nissan Motor Co (Australia) managing director and CEO Richard Emery. "This tough, powerful and smart ute is sure to be a hit with Australians. The NP300 Navara offers the efficiency, performance and durability that pick-up buyers need as well as premium ride and interior comfort." 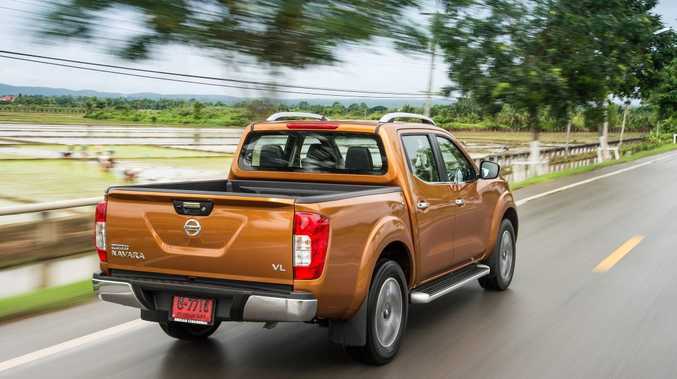 Maximum braked towing capacity for the Navara is 3500 kilograms across all diesel variants. Maximum braked towing capacity for petrol variants is 1588 kilograms. Maximum payload ranges between 880kg-1112kg depending on the variant specification. Dual cab pick-up models go on-sale from May, with prices listed below. Single cab (cab chassis), king cab (pick-up utility and cab chassis) and dual cab (cab chassis) grades will be on-sale in Australia from the third quarter this year. Prices for these variants are yet to be confirmed.